Hot off the heels of the Blackberry KEYone finally being announced this year at MWC 17, news of another Blackberry handset has broken: the Blackberry Aurora. As with most things to do with the once-great smartphone giant, the handset is interesting. Or, rather, the existence of the handset is non-standard. For a start, the handset isn’t made by Blackberry, the holders of the Blackberry IP, or Blackberry Mobile. For those who haven’t been paying attention to the Canadian brand, Blackberry Mobile is the offshoot of TCL who is making the hardware for the Blackberry KEYone. TCL are rather large: they also own the Alcatel brand. You may remember that they released the DTEK 50, which itself was a rebranded Alcatel Idol 4, layered on top with the secure Blackberry implementation. But the Blackberry Aurora is something of an anomaly. Instead, the handset was made in partnership with an Indonesian Joint Venture called PT BB Merah Putih. The handset itself is being released with Android 7.0. This should be standard by now, seeing as Android Nougat came out back last year. You would have expected other manufacturers to have been able to push out the update to their unlocked handsets by now. Yes, we’re looking at you Samsung for your Galaxy S7 line. Anyways, back to the Blackberry Aurora, which has a 5.5 inch screen at a 720 pixel resolution. On top of that, the information we have currently is that it is packing a 3000 mAh battery and a Snapdragon 425 processor. The Blackberry Aurora couples that with 3 GB of RAM and 32 GB of internal storage. For photography duties, there’s a 13 MP camera on the back and an 8 MP front facing camera, because Lord forbid you don’t take the best shot for your corporate photo. In terms of pocketability, it comes in at 152 x 76.8 x 8.55 mm, which isn’t the craziest thing I’ve heard. All in all, it seems like a very thoughtfully put together handset for someone who wants to be in touch on the move and throughout the day, without worrying overly about their phone dying on them. The Snapdragon 425 processor is pretty efficient, if not the most powerful one in the lineup, but if you aren’t intending to do a lot of gaming on your 720 screen, then that’s another smart move. And if you’re thinking that the screen resolution feels a little low in 2017? Think of it this way: the less the processor has to work out what the pixels are doing, the longer the battery lasts. 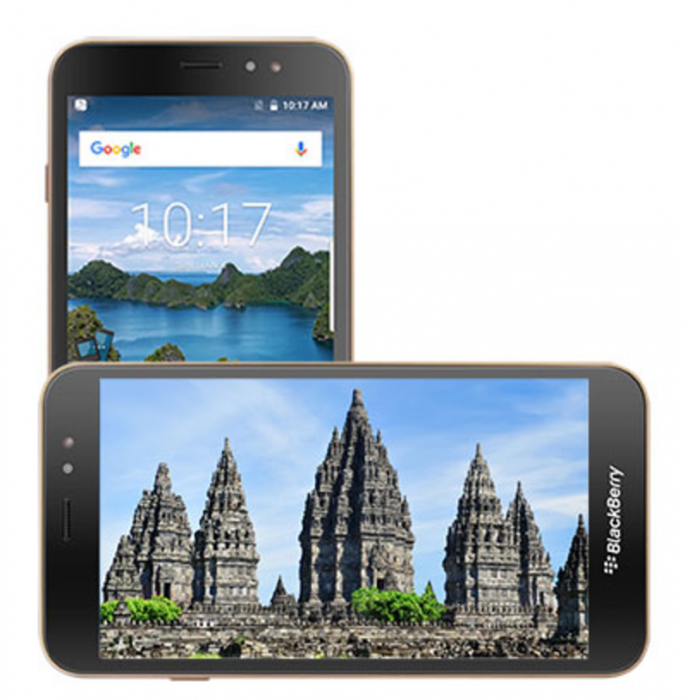 The Blackberry Aurora has been slated to come out in Indonesia only on March 13th. The chances of us seeing it in the U.K. are likely slim, but stranger things have happened. Today, BB Merah Putih, one of Indonesia’s leading smartphone manufacturers, unveiled a new BlackBerry smartphone in Indonesia – The BlackBerry Aurora. The launch represents the first BlackBerry smartphone released by BB Merah Putih under its new brand licensing agreement signed with BlackBerry Limited in September 2016. 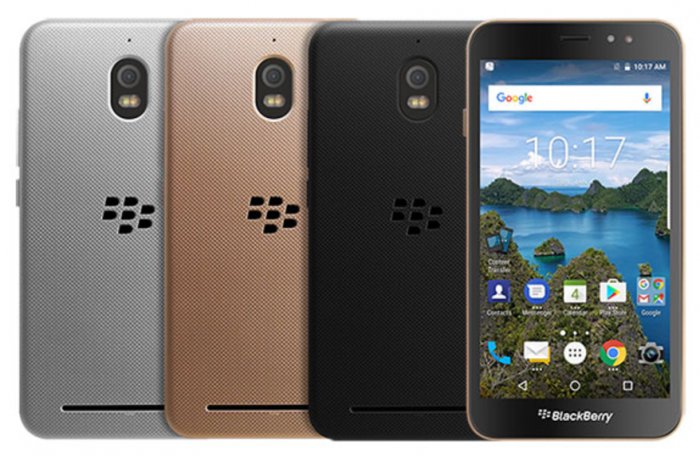 Offering the first Indonesian manufactured BlackBerry-branded device, powered by the world’s most secure version of Android, customers can expect very exciting features and applications, equipped with BlackBerry’s trusted software security and mobility solutions. BlackBerry has a long history in Indonesia, connecting and protecting millions of mobile customers that use secure BlackBerry products to grow their businesses and stay in touch with friends and family. With this partnership, BB Merah Putih and BlackBerry are continuing to deliver a high quality mobile experience with the security and productivity that customers expect with the BlackBerry brand, but with features that are specifically designed for Indonesian customers. The beautifully designed BlackBerry Aurora comes with a number of features that are uniquely BlackBerry. Out of the box, the device runs OS Android 7.0 Nougat – giving users access to the entire Google Play store and apps – and will receive regular security updates. It will come pre-loaded with BlackBerry Hub®, a unified messaging inbox which combines emails, texts and messages from any social media account. What really sets a BlackBerry smartphone apart from other Android devices are the enhanced security features built into every device right from the start. From a hardened operating system to BlackBerry Limited’s proprietary technique for establishing a hardware root of trust by adding security keys to the processor, the BlackBerry Aurora is intentionally designed to offer the most secure Android smartphone experience possible. The BlackBerry Aurora comes pre-loaded with DTEK™ by BlackBerry, offering constant security monitoring and protection of your operating system and apps by letting you know when your privacy could be at risk and how you can take action to improve it. A quick glimpse lets you see the overall security rating for your device and allows the user to easily improve their security status. This BlackBerry security application monitors other apps, alerting you if one is accessing your camera to take a picture or video, turning your microphone on, sending a text message, or accessing your contacts or location. The BlackBerry Aurora is a dual SIM 4G LTE smartphone that operates with Android 7.0 Nougat, with a 5.5” inch screen and 4GB RAM memory. Fusing the latest technology with 4G LTE network speed, vibrant HD 720p wide screen and 4GB memory, the BlackBerry Aurora delivers the best performance to fulfill one’s needs for a smartphone. Beyond the design and security features that make the BlackBerry Aurora so distinct, these additional features truly reinvent mobile communications for the business user by ensuring that a business user has continuous, secure and productive mobile access to their office regardless of where they might be in the world. At the core of this new BlackBerry smartphone is a Qualcomm® Snapdragon ™ Quad-Core 1.4GHz processor with a 3,000 mAh Li-ion battery – allowing the device to receive optimal performance and connectivity for 30 hours straight. As part of the exciting launch of the BlackBerry Aurora, Rudiantara, The Minister of Telecommunication and Information attended the ceremony to congratulate BB Merah Putih for the launch of the BlackBerry Aurora in the Indonesian market. From today, BlackBerry Aurora can be purchased at a price of Rp. 3,499,000 through preorders in various online e-commerce in Indonesia starting on Friday, March 3, 2017 until Sunday, March 12, 2017. Throughout the pre-order period, customers have the chance to receive a special prize as well payment options with a one-year instalment. BlackBerry Aurora is also supported by quality network services in big cities across Indonesia. MWC - Remember when we used to hunt for WiFi?